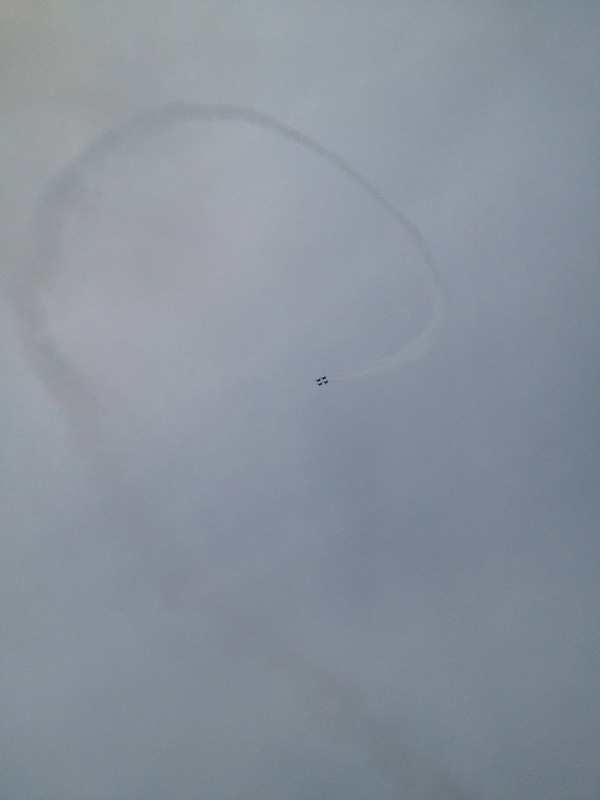 We headed down to check out the Air Show last weekend. 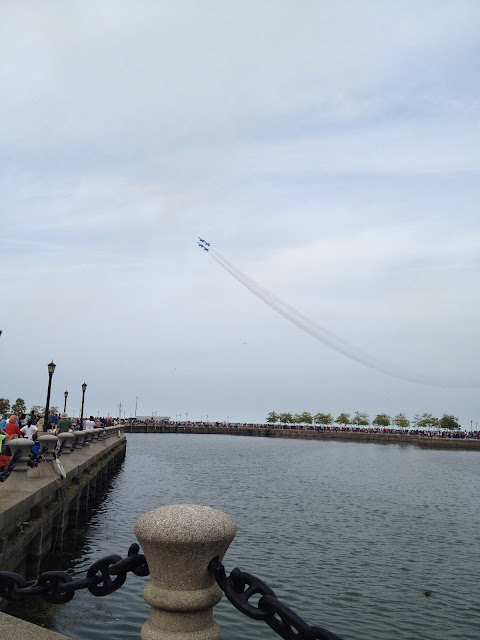 It's a Cleveland tradition to hear those jets flying high above our heads on Labor Day weekend. 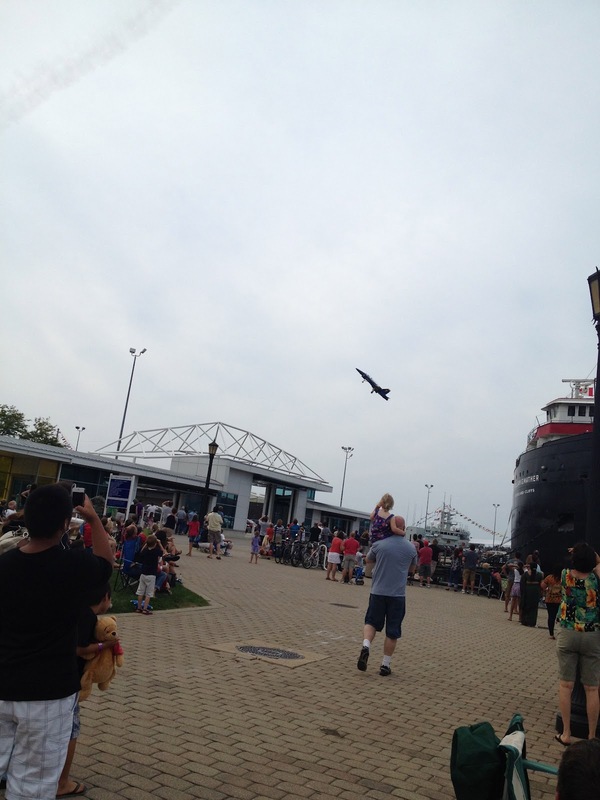 The mighty Blue Angels really put on a good show. We found a perfect parking space and walked down to the Stadium area and walked around checking out the crowds, the boats, and the planes. Oliver was quite impressed with the giant ships and didn't seem to mind when the single plane took off and gave us a little show. But when the Blue Angels took flight all bets were off. Oliver looked at us as if we had lost our minds and made it very clear that it was way too loud! Luckily we parked close and it didn't take too long to seek shelter. It's really cool to be down there so close to the show. The jets are exhilarating and a little bit scary too!